The Canuck Club at Devils' Escarpment is now open to the public! 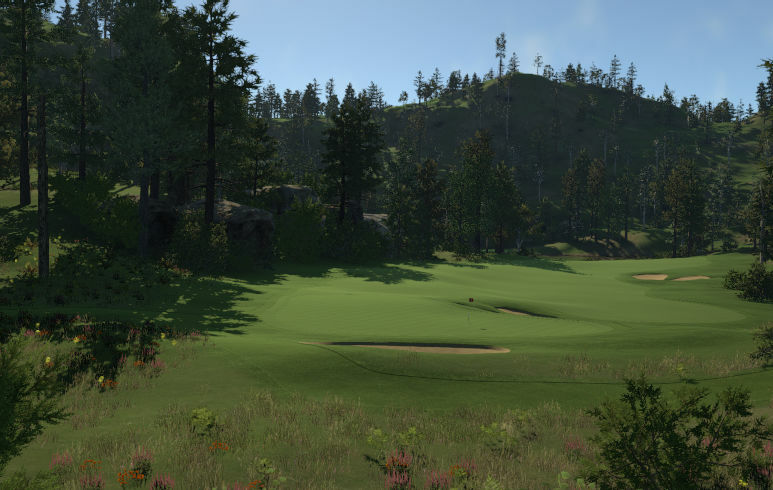 This course is located on and below some steep and rocky escarpments creating a truly unique round of golf. 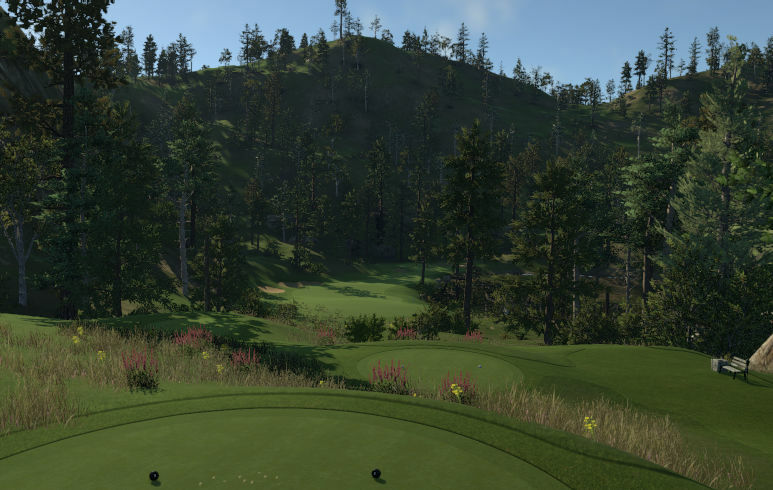 This rugged course features numerous elevated tees, exciting shots, and a great test for golfers of all skill levels! Please also check out Devils' Escarpment's sister course- Angels' Plateau! The uphill and downhill holes here play fabulously, probably better than any course I remember with this severe of elevation change. Everything is completely smooth and looks realistic to real-life Rocky Mountain courses from Colorado to Canada. The greens are also a little more unique than most, with large contoured slopes and hills and impeccable pin locations which presents a tough but fair challenge. Planting is beautiful as well, especially the views from the tee and the backdrops to the greens. Everything else around the course is masterfully done as well. Nothing hellish about this course...except the burning desire to play it over and over and over. This is a clinic on how a course should be designed on this game. Everything is so smooth and the aesthetics are excellent. Every shot needs to be well thought out and you need to be extremely accurste if firing at pins. 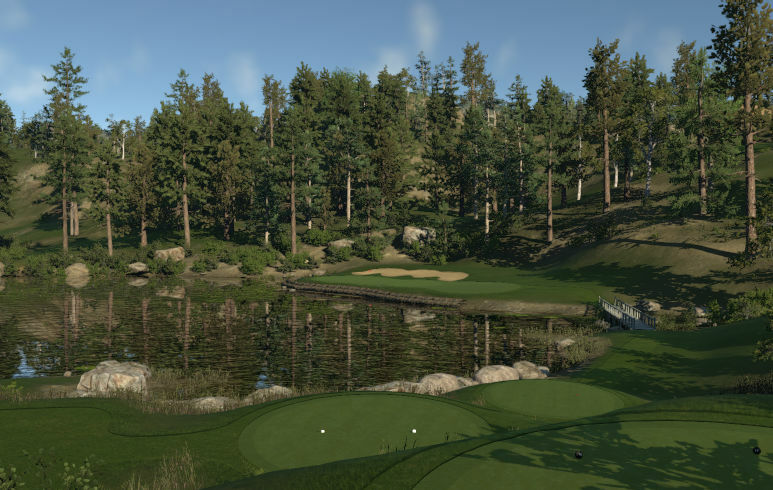 Go give this course a play as you will not be disappointed. Plenty of elevation off the tee will put your math skills to good use here making for some great views as well. The par 3 13th and 17 to name a couple. Overall good course just noticed alot of really short approach shots.